Are you interested in helping Pheasants Forever in Alberta with our mission, but feel overwhelmed by the thought of writing another cheque or giving up your assets today? A simple, flexible and versatile way to ensure we can continue our work for years to come is a gift in your will or living trust, known as a charitable bequest. If you have a loved one who has been impacted by Pheasants Forever, establishing a memorial or gift is a meaningful way to honor that person or celebrate a special occasion such as a birthday while supporting the work of our mission. Your memorial or tribute gift will be a lasting tribute to your loved one. Are you passionate about supporting Pheasants Forever in Alberta with our mission even after your lifetime? It’s not only possible; it’s easy to do with a beneficiary designation. 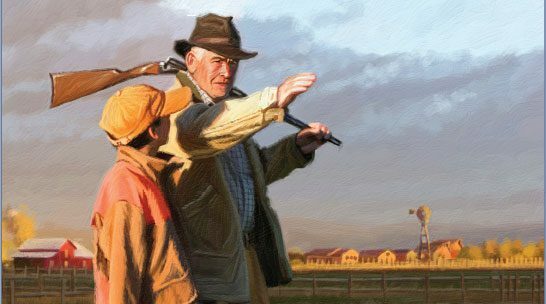 Just name Pheasants Forever as a beneficiary to receive assets such as retirement plans and life insurance policies after you’re gone. Because of generous supporters like you, Pheasants Forever has been able to stand up for a cause you believe in through programs that are dedicated to the conservation of upland wildlife including pheasants and partridge. You can also be an integral part of our future by including a charitable gift within your will, overall estate and financial plans. Truly an easy and effective way to leave a legacy. With a little planning, you can help us maintain and expand our habitat improvements, public awareness, education and land management policies and programs for years to come. Donating publicly traded securities or flow-through shares instead of cash to avoid paying capital gains tax, or exercised employer stock options to reduce employment income, and in both cases also receive a donation tax credit. Making a donation of land to avoid paying capital gains tax on the appreciation of its value, or a partial interest in the land through a conservation easement, which you can use to offset tax due on other assets. Putting a bequest in your will or establish a permanent life insurance policy with the charity of your choice as beneficiary. Contributing funds in high tax years to private or public foundations. You receive an immediate tax benefit, while they will distribute the funds over a longer period of time.